"We have been working with HHI for over 10 years. Throughout that time, we have had a sound partnership that blends current best practice with the always changing, complex world of Medicare regulation. HHI provides us with a customized educational plan for each of our facilities and understands the unique personality of each of our homes, as well as those individuals who work within them. Their premise always supports “providing excellent care” and addresses avenues to insulate revenue with correct coding, MDS compliance and of course strong documentation from all departments. HHI has been able to successfully provide consistent consultants who take the time to understand the unique culture of the buildings and works together with all staff to support best practice. Their unique therapy perspective focuses on patient care and uses continued monthly education for all member s of the interdisciplinary team to ensure that the facility understands processes and opportunities for success. HHI and their team of dedicated staff are willing to go the extra mile to help with any challenges that we may have, but also respects the decisions of the facility and works collectively to support best practice, quality care, strong outcomes and service to our customers. "Harmony and Aviv first crossed paths as businesses when there was a renewed internal focus on our rehabilitation department’s growth in the market place. As our program grew we wanted to make sure we were performing at an optimal level assuring regulatory compliance while capturing all the correct data to guarantee we were being appropriately reimbursed for all the great work we do. Having used Harmony for this project almost 12 years ago, I would use no other company. Their consultants are the best in the industry and the work they did for us then resulted in everything we expected and then some. There are truly 2 significant improvements that are tangible to this organization that are provided with Harmony’s guidance. They are regulatory compliance and bottom line sustainability.Making sure our organization is capturing all revenue legally due to it for care provided. This is done by means of a thorough auditing process resulting in Harmony’s consultants’ ability to educate staff on regulatory changes and assure proper capturing and documenting of all relevant medical data that is critical to compliance and revenue maximization. Financial results are immediate due to their hands on educational approach with all relevant staff. This is where they shine! Starting at the top with President and CEO, Kris Mastrangelo, the entire team seems to draw a vibrant, intellectual energy that is unmatchable. This group is passionate about our industry and passionate about results. Where other consultants fail, Harmony delivers! I love this company from top to bottom. They are incredibly easy to work with, provide thorough and current industry information and are always a phone call away. My relationship with Harmony does not stop with the few services mentioned. We have hired Harmony to assist in hiring for open Clinical Reimbursement positions and we have used them for mock surveys. No matter what business agreement we have with them, their follow through and professional integrity is above reproach. Results are always as good if not better than expected and this is something I truly would not say about many of our industry consultants. For example, the immediate impact on our recent engagement to work with my rehab and nursing team to educate on improving documentation to make sure we capture all relevant revenue was an immediate 5-7% increase in reimbursement rates. This rate increase has continued for 6 months and is not a onetime event." 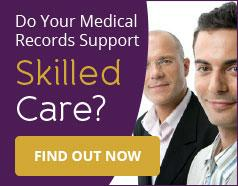 "We were looking to provide operational and education support to our clinical and management team. Our clinical team has received valuable education and insight into numerous compliance issues as it relates to reimbursements. Our consultant was extremely effective in communicating contemporary positions on various operational practice patterns. As a safety net I would highly recommend Harmony Healthcare to ensure the facility is in compliance with State & Federal rules and regulations. Our staff are very happy with their input and gained confidence as the relationship evolves." "We believed we had healthy RUG rate reimbursements from Medicare and wanted to verify our position. We interviewed different companies about their approach and were impressed with the Harmony philosophy, specifically the emphasis on clinical education pertaining to proper documentation. After initially speaking with Harmony we realized we had room for significant improvement in appropriate documentation leading to proper reimbursements for our services." Results - "We have better communication between all disciplines involved in clinical services and the finance department. Staff is being educated on a monthly basis. This continuous education along with concurrent and retrospective review of accounts has definitely improved our position. We are also receiving detailed reports outlining our progress and corresponding successes. The nurse Cyndi is fantastic. Her personality, approach and follow through has given her credibility with the staff and her recommendations have been spot on." “Even after 9 years of being a Harmony Healthcare International client, we still find value every day in the close knit relationship we have formed with their team.It’s easy to see the value of the Harmony site visit and what it does for Medicare utilization, but I think providers often underestimate the inherent value in the consultancy that is available between site visits. For us, the depth, skill and availability of the Harmony staff has been invaluable.